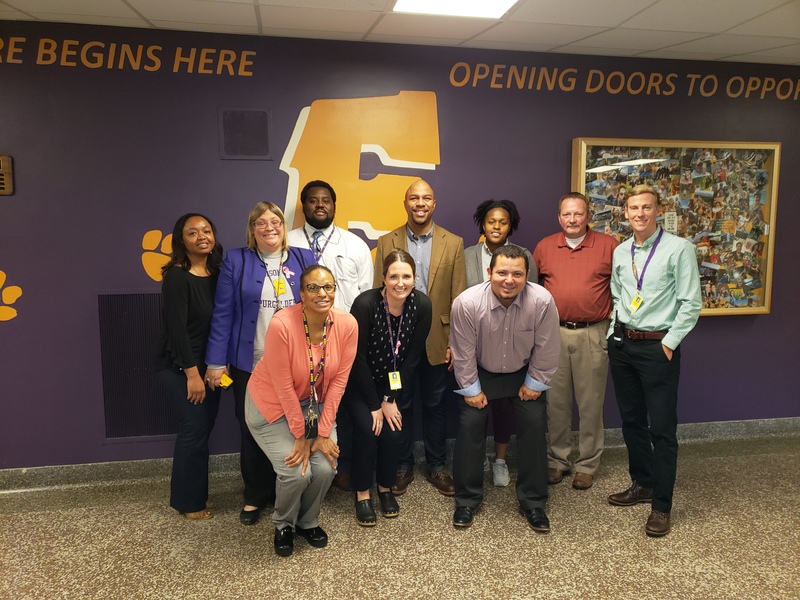 A Principal Experience 2018 was Tuesday, October 9th! 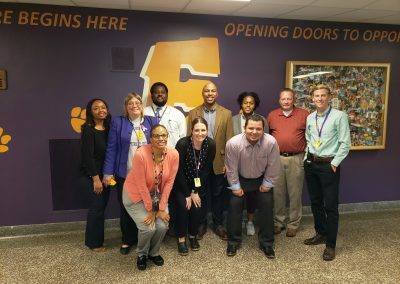 A Principal Experience provides a wide variety of community leaders with a hands-on opportunity to experience the rewards as well as the challenges Madison Metropolitan School District (MMSD) principals, teachers, and students face on a daily basis. Featured photos from A Principal Experience 2018! For more pictures and stories, visit our Facebook Page to see the latest! 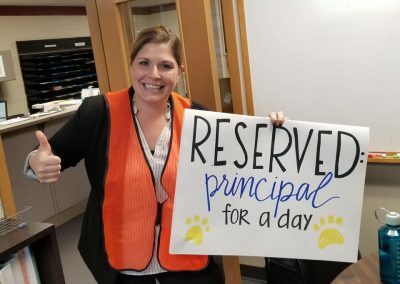 A Principal Experience Principal Partners (that’s YOU!) will gain a deeper understanding of our public schools and strengthen their connection and commitment to public education. Past Principal Partners have been inspired to support the school they visited by engaging their own organizations to participate in our Adopt-a-School program. Many Summit Credit Union employees, including me, have participated in the Foundation’s A Principal Experience. With the understanding we gained about challenges and opportunities educators face, we’ve been able to create stronger working relationships with our high school branch partners and ultimately support our student members. Thank you to the Foundation! 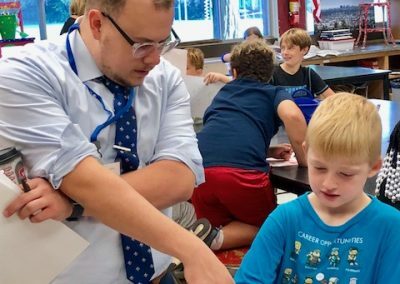 A Principal Experience registration for 2019 will open in July 2019. NOTE: If you are interested in participating next year, please contact Mary Bartzen . 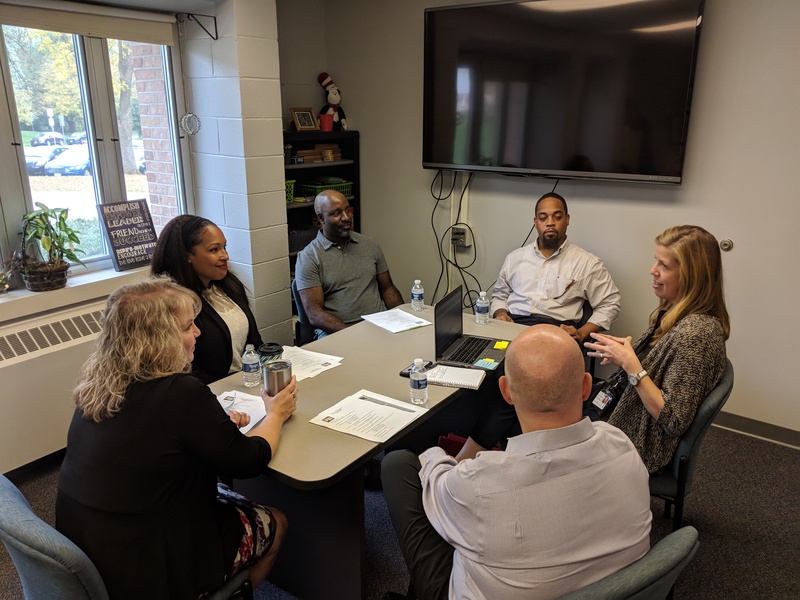 100 Principal Partners spent the morning of Tuesday, October 9th in one of Madison’s public schools, shadowing a host principal and participating in school activities. Host principals, Principal Partners and district leadership team members then met at the Alliant Energy Center for lunch and a facilitated program to discuss the day’s events. Jason Ilstrup, Downtown Madison, Inc.
Coliér McNair, Zion City, Inc.
Jeffrey Patterson, JP Hair Design, Inc.
Tammy Rozek, East Towne Mall/CBL & Associates Properties, Inc.
Roxie Hentz, CEOs of Tomorrow, Inc.
Shree Kalluri, Forte Research Systems, Inc.
Israel Lopez, Akuraa Technologies, Inc.
Dr. Richard Appen, Retired from U.W. Ophthalmology Dept. Michael Barbouche, Forward Health Group, Inc.
John Cerniglia, Downtown Madison, Inc.
Aaron Zutz, J.H. Findorff & Son, Inc.
Dana Corbett, Robert W. Baird & Co., Inc.
Erika Duelge, J.H. Findorff & Son, Inc.
Chuck Hulan, The Douglas Stewart Co.
Jill Leitl, Great Lakes Educational Loan Services, Inc.
Shana Lewis, Strang Patteson Renning Lewis & Lacy, s.c.
Matt Premo, J.H. Findorff & Son, Inc.
Joe Shumow, Reinhart Boerner Van Deuren s.c.
Todd Smith, Godfrey & Kahn, S.C.
Pete Vogel, Vogel Bros. Building Co.
Gladis Benavides, Benavides Enterprises Inc.
Jennifer Gregor, Godfrey & Kahn, S.C.
Nancy Mayek, JH Findorff & Son Inc.
Eldon Newcomb, Breakfast Optimist Club of Madison, Inc.
Karl Olm, Environmental Chemistry Consulting Services, Inc.
Sara Pickard, Girls on the Run of Dane County, Inc.
Mike Wittenwyler, Godfrey & Kahn, S.C.
Dave Beck-Engel, J.H. Findorff & Son Inc.
Cheri Buckner, YMCA of Dane County, Inc.
Kristine Euclide, Madison Gas & Electric Co.
Carol Ann Hewitt, Downtown Madison, Inc.
Mario Garcia Sierra, Madison Gas & Electric Co.
Brian Thill, Murphy Desmond S.C.
Robert Wynn, Asset Builders of America, Inc.
Julie Bauer, Alliant Energy Foundation, Inc.
Kristen Joiner, Sustain Dance, Inc.
James K. Ruhly, Melli Law, S.C.
Jane Clark, QTI Human Resources, Inc.
Richard Entenmann, Asset Builders of America, Inc.
David Ewanowski, Kee Architecture, Inc.
Allison Mooney, Dean Health Systems, Inc.
John Ritchie, The Douglas Stewart Company, Inc.
Susan Schmitz, Downtown Madison Inc.
What is the purpose of A Principal Experience? A Principal Experience is a proven way for leaders in education and the greater community to share ideas, resources and a sense of responsibility for public schools. 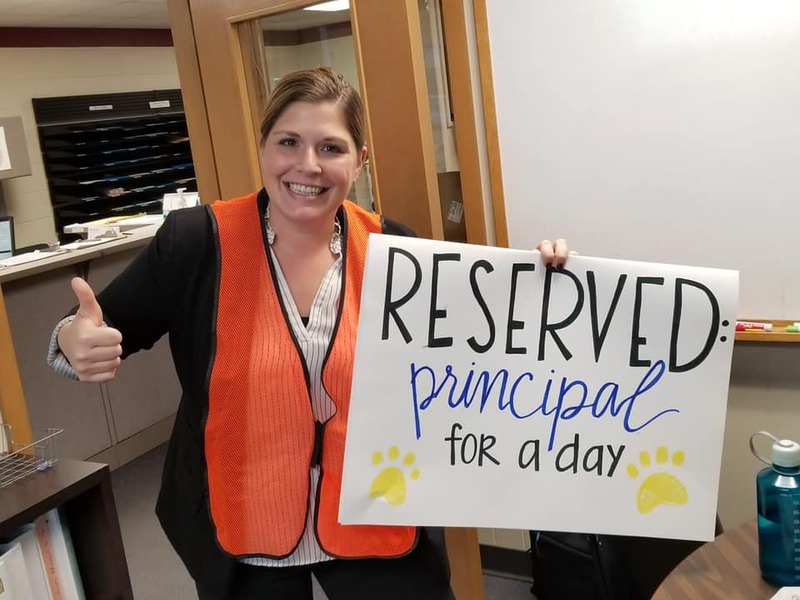 By providing a first-hand perspective on the decisions and responsibilities principals face daily, Principal Partners are inspired to take a greater interest in public education. 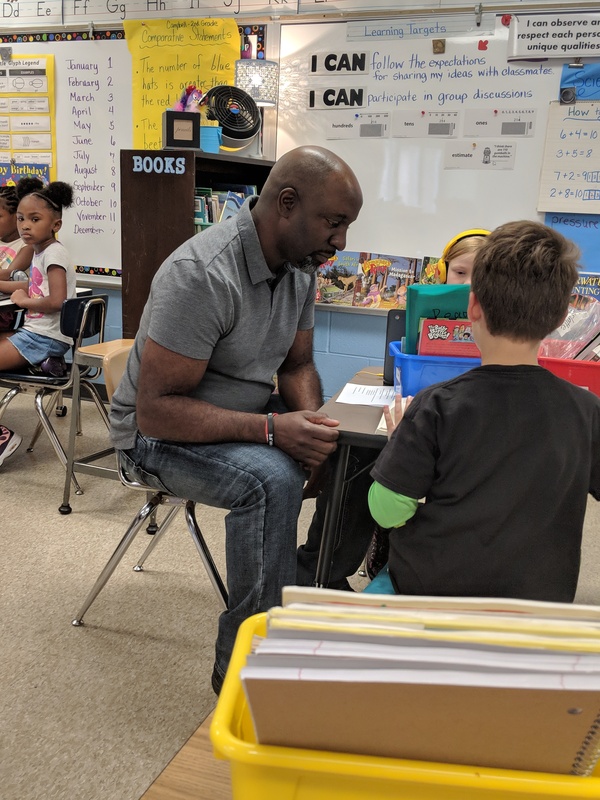 At the same time, A Principal Experience provides Madison Metropolitan School District principals and staff with an opportunity to create meaningful relationships with individuals in the private sector. Why is the Foundation hosting this program? The Foundation is dedicated to enriching the education of all children by raising private funds, awarding grants, and developing partnerships to strengthen Madison’s public schools. We are very pleased that over the last thirteen years more than 800 community leaders have had the opportunity to spend time in our public schools, experiencing first-hand the challenges and joys that school principals face every day. A Principal Experience fosters powerful partnerships with unlimited potential. What will I be doing as a Principal Partner? You will be paired with one of the Madison Metropolitan School District principals and spend the morning “shadowing” that principal. Prior to October 9, you will receive a list of suggested activities that may be appropriate for the morning depending on your interests, the school, and the principal. You and your host principal will decide together how you will spend your morning so that it will be both an interesting and rewarding experience. Preparation is the key to maximizing the time spent at your school. How does the Foundation decide with which school principal I'll be paired? The participation application asks you to indicate any preferences you may have – a specific school or an elementary, middle or high school. Although we can’t promise to accommodate your preferences, every effort will be made to do so. Conversely, we will have discussions with school principals about their specific goals for their Principal Partner visit and we’ll use their input to try to make the best match possible. We use a number of criteria when matching, including individual areas of expertise and the goals of both the Principal Partners and host principals. Much of this information is gathered from the Principal Experience application, so please be as detailed as possible so that we can best match you to an appropriate school. What do Principal Partners do during their visit? In late September, both the school principals and the Principal Partners will receive their “Matchpacks.” The Matchpacks let the school principals know who will be shadowing them on October 9 and will let the community leader know at which school they have been placed. We strongly encourage the Principal Partner and the principal to correspond or speak on the phone at least once prior to October 9 so that they can plan their time together in advance. This will help establish a relationship before the day of the visit and will make the day more productive, comfortable and beneficial for everyone. Each visit will be unique and we encourage Principal Partners to share any particular interests or ideas they have for the day with their host principal. A Principal Experience will begin between 7:30 and 8:00 the morning of October 9, 2018. The specific start time will be decided by you and your school principal. We believe it is important for the Principal Partner to spend at least a portion of the lunch hour at the school, so we will not begin our debriefing session until 12:00 noon. At 12:00, all the school principals and Principal Partners will meet at the Alliant Energy Center for lunch and a facilitated program. A Principal Experience concludes by 1:30 p.m.
Is Madison a large enough community to hold A Principal Experience annually? 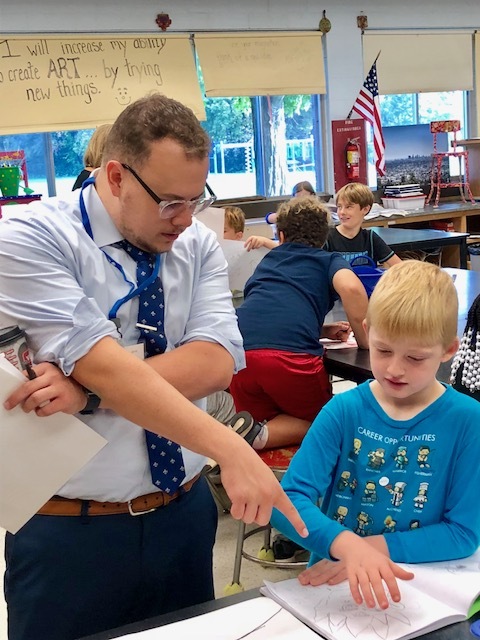 The Foundation has been encouraged by the tremendous interest in A Principal Experience and continues to reach out to bring new participants into the program each year. 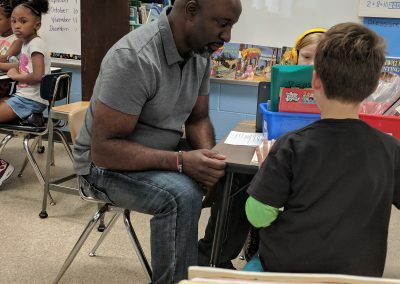 Many community leaders have served as a Principal Partner more than once because they see the value in visiting a variety of schools and working with different principals. Numerous organizations recognize that this is a worthwhile experience and we are grateful that they have decided to give a number of their employees the opportunity to serve as Principal Partners over the years.